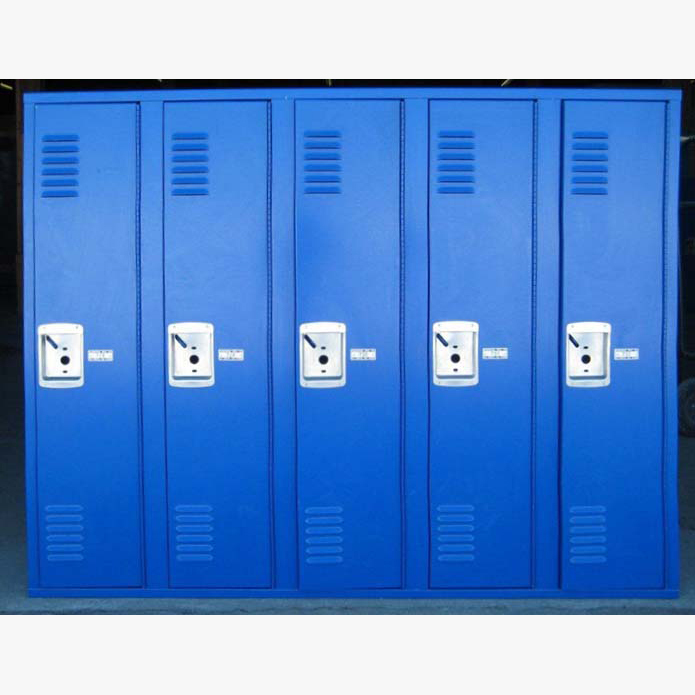 These Kids Athletic Locker are available on www.buyusedlockers.com where they have a huge selection to choose from if we need additional supplies. Kids love these lockers. You can use them in their bedrooms, your mudroom or garage to store all of their belongings in. They are ideal for storing clothing or small sporting equipment as the ventilated doors will keep the contents dry and odor free. These durable Lockers measure 15" wide x 15" deep x 48" high and feature no legs, making them sturdy and great for keeping spaces clean! These units have been manufactured to the same e specifications as regular sports lockers including heavy 16-gauge metal doors and frames with both a padlock hasp for removable padlocks and an area for built-in combination or key locks. The interior includes hooks for clothing, jerseys and jackets and an upper shelf for convenient storage and access for smaller items such as balls, gloves, etc while larger items such as bats, clubs, shoes, etc. can be stored on the floor of the locker. They ship fully assembled as single columns or groups of 3 columns wide and arrive ready to use.